The Push AFO Ankle Foot Orthosis is a lightweight foot support splint that helps users with foot drop walk safely and efficiently. 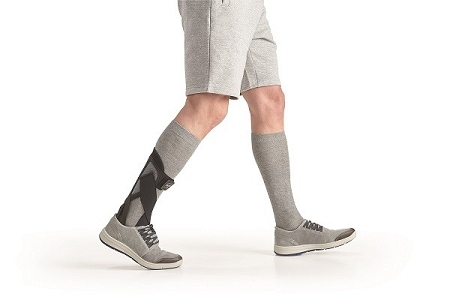 Caregivers will find this low profile brace provides an effective support for foot drop, and the innovative design allows for a natural gait. 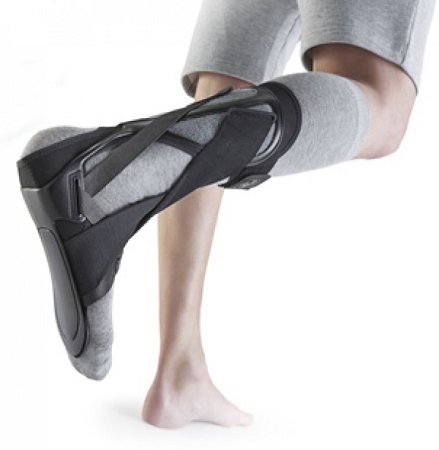 The Push AFO Ankle Foot Orthosis has a lightweight, composite frame that provides lateral stability to the ankle joint. The design includes functional support straps. 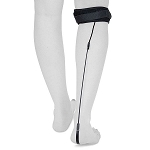 The non-elastic strap system fixes the foot in the orthosis and counteracts inversion and eversion. The elastic straps exercise dynamic control of plantar flexion after heel strike and promote a neutral foot position during the swing phase. The Functional Strap System is continuously adjustable, allowing the degree of dynamic foot lifting during the swing phase to be adapted to the user’s individual needs. During the landing phase, plantar flexion is controlled by the braking function of the elastic straps. The relatively flexible sole of the Push AFO allows dorsiflexon in the ankle joint and makes it possible to use the residual function of the calf muscles during the completion phase of the step, creating an efficient and natural gait. The Push Ortho Ankle Foot Orthosis works in different types of shoes and does not require a special shoe. With standard AFO’s, the shoe provides fixation of the orthosis around the foot. 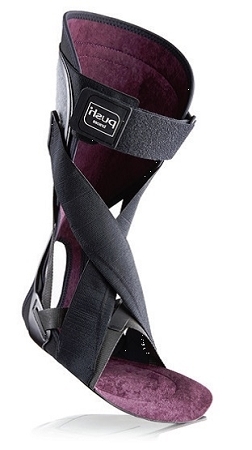 The Push AFO itself possesses a fixating strap system. 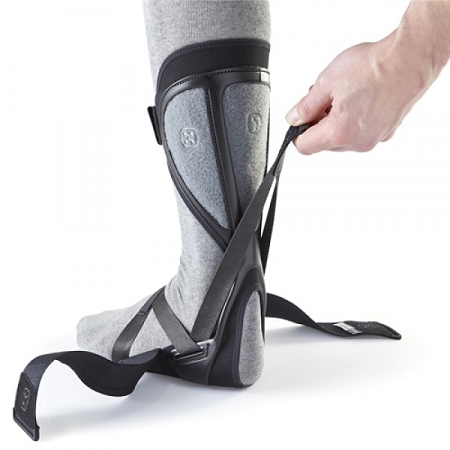 This innovative construction allows the Push AFO to be used even with slippers. 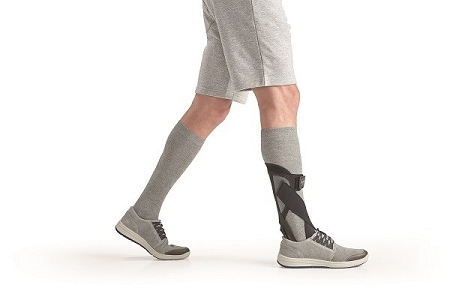 The Push Ortho Ankle Foot Orthosis is indicated for users with loss of control of the ankle dorsiflexors during the swing phase and during loading response. It is contraindicated for users with loss or lack of control of the calf muscles, moderate to severe spasticity, extreme pes equinus, foot deformity. The Push Ortho Ankle Foot Orthosis is available in 3 sizes for the left and right foot. To determine the size needed, place the foot a 90 degree angle in relation to the lower leg, measure circumference around the heel and instep of the foot. The manufacturer strongly recommends customization and fitting by a professional, as AFOs that have been worn or customized cannot be returned. Choose size: 1, 2, or 3 for Left or Right Foot. Materials: Sympress microfiber, hook and loop fasteners. Care: Hand or machine wash on gentle cycle at low temperature. Be sure straps are closed during washing. Washing in a net bag is recommended. DO NOT add bleach. DO NOT dry in dryer or wash in a dishwasher. this brace is new to us but so far the flexibility is very rewarding. it is light weight enough to make us wonder if it is strong. Time will tell. 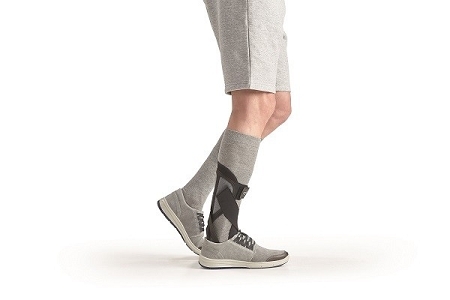 The design allows movement up and down the leg a bit when walking but it is tolerable.